In an effort to get back to sewing again, I broke out the ol' sewing machine and motivated myself to complete a simple afternoon project. 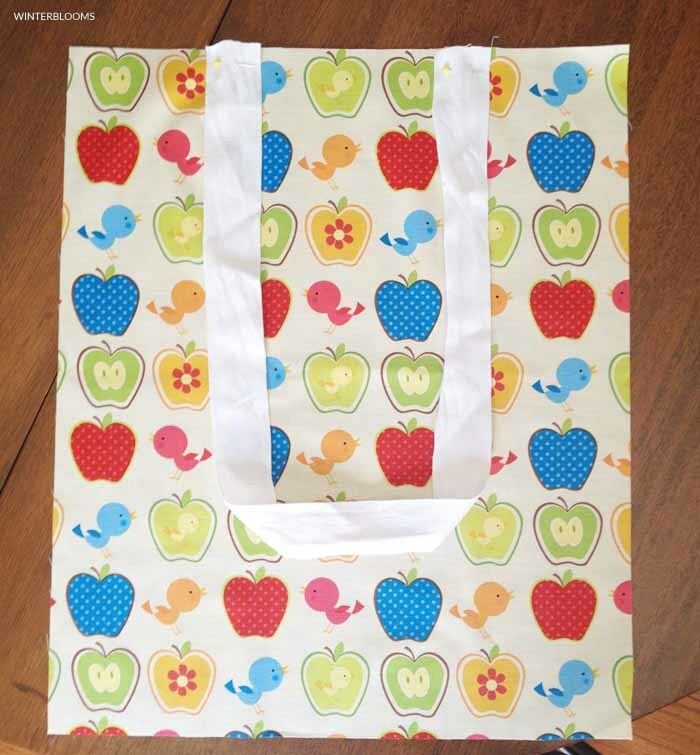 The result of which was this super-cute tote bag. 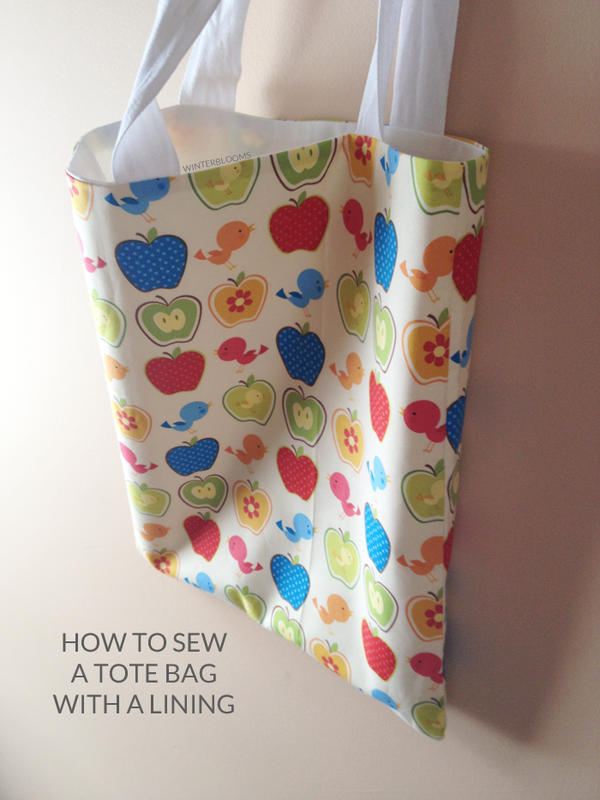 Tote bags are great beginner projects for sewers - they don't require a lot of fabric or complicated stitching to get them done. I've got quite a bit of fabric just sitting around, so I pulled out a fun print (this one is Timeless Treasures Kidz-C74910) and a plain white cotton to see what I could do. I love homemade tote bags - love them - but sometimes seeing the raw "wrong" side of the exterior fabric whenever I peek inside rubs me the wrong way. So I decided that I would add a lining to mine - it's a little extra work, but so worth it to see something crisp and clean looking when you have to go digging for your wallet or keys. The tote bag is completely customizable - from the overall size of the bag to the size and number of pockets - everything can be changed to suit what you prefer. Read on for the step-by-step instructions! Exterior fabric - 2 panels measuring 18"x15"
Lining fabric - 2 panels measuring 18"x15"
Interior pocket fabric - 2 panels measuring 6.5"x5"
1. 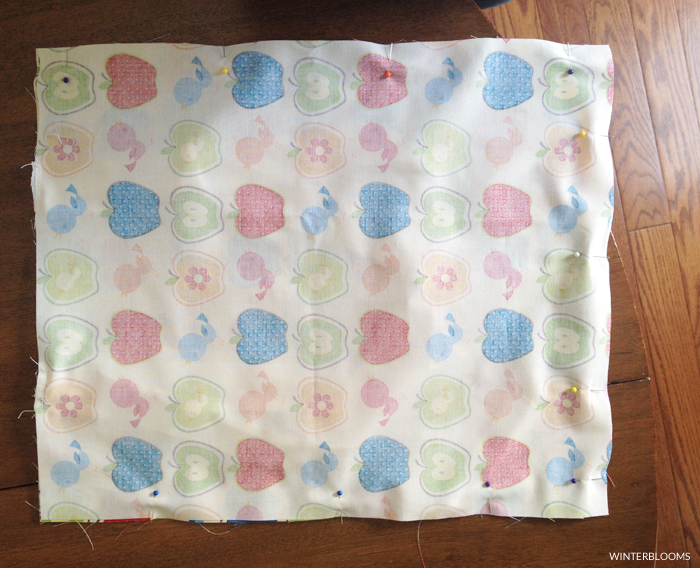 Cut and press all your fabric pieces to the appropriate sizes. 2. Construct the pocket - for the fabric I used the same fabric as my exterior panels in order to provide some nice continuation through the tote. Make the pocket whatever size you'd like - I chose these particular measurements so that the pocket would fit my iPhone nicely. Place the pocket panels right sides together - match the raw edges and pin them in place. Stitch a 1/4" seam along the pinned edges leaving a 2" opening centred on the bottom edge. Remember to backstitch at each end. Turn the pocket right side out and press it flat. Topstitch a 1/4" seam across the top finished edge of the pocket, backstitching at each end. This is entirely decorative step that I added so that when the pocket gets attached to the lining panel the stitching on the sides is all symmetrical. 3. 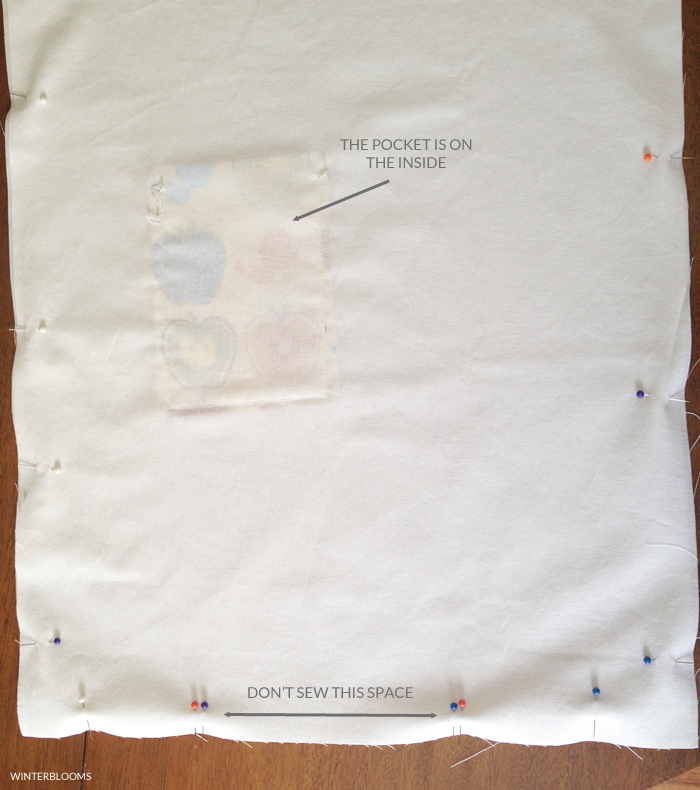 Attach the pocket to one lining panel. Determine where you'd like your pocket to be on the lining - I put mine off-centre and about 3" down from the top edge of the panel. Pin in place and sew around the sides and bottom with a 1/4" seam. This is how that bottom opening will be sewn shut! 4. Attach straps to the exterior panels. I used cotton webbing at 30" long each - but use whatever you feel comfortable with. 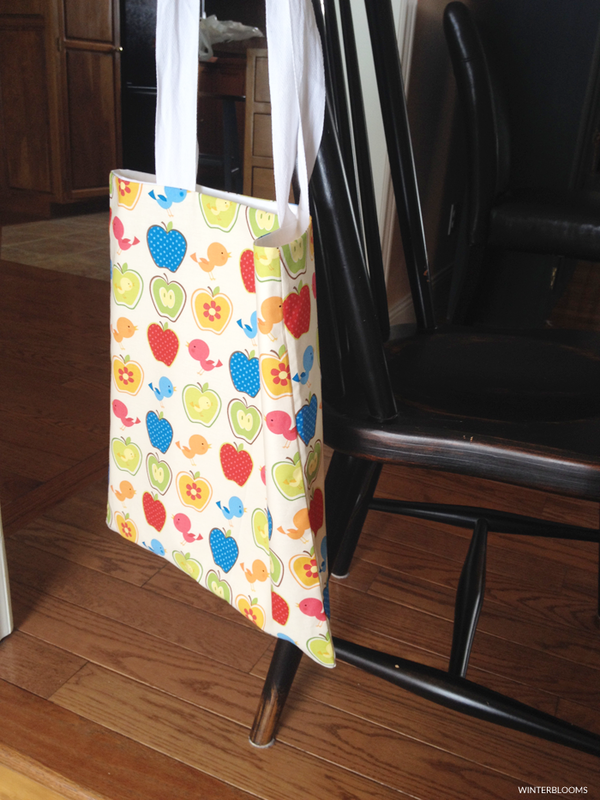 I like my handles long so that I can comfortably keep the tote on my shoulder, but I know others prefer them to be shorter. With the right side of the exterior panel facing upwards, line up one strap. I kept each end of the strap 3.5" in from each side of the panel. Sew in place with a topstitch and then backstitch overtop. Repeat for the other exterior panel and other strap. 5. Sew the lining panels. 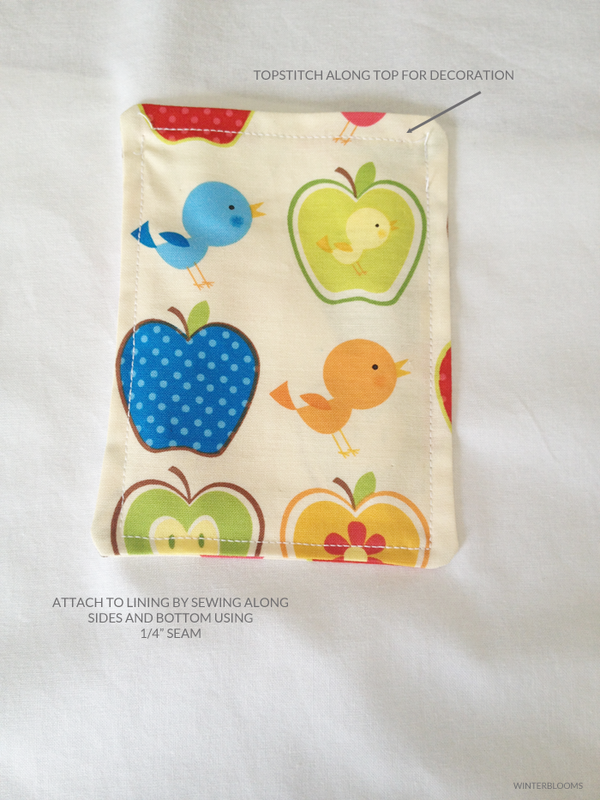 Place the lining panels right sides together - this means your pocket will be on the inside of that fabric sandwich. Pin the sides and bottom but leave a 6" opening centred on the bottom seam (this will be used at the end for flipping our tote bag!) Sew using a 1/4" seam around the sides, backstitching at the ends. 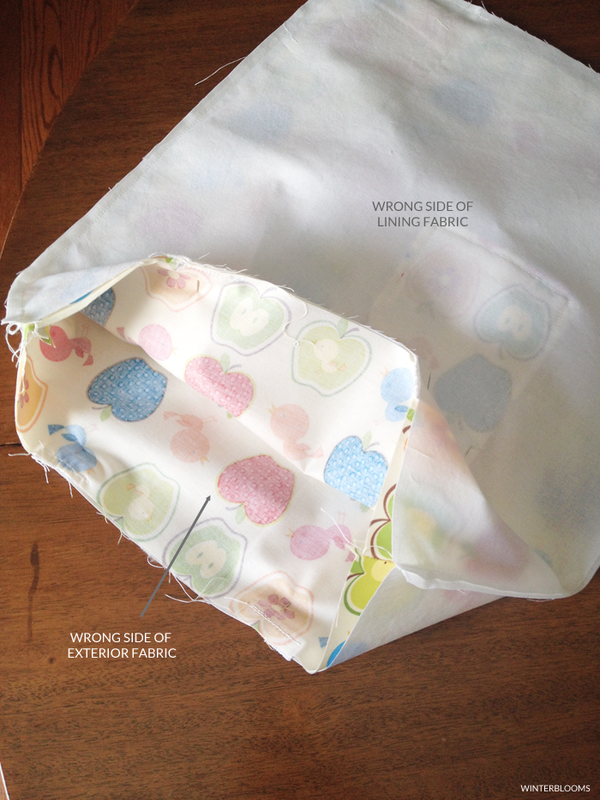 Remember not to sew that opening at the bottom or any of the top of the panels! 6. Sew the exterior panels. Place the exterior panels right sides together - now your handles will be on the inside of that fabric sandwich - and pin the raw edges together. Sew using a 1/4" seam around the sides and all across the bottom, backstitching at both ends. 7. Attach the exterior and lining panels. Now comes the fun part! With the exterior right side out and the lining wrong side out, slide the lining over the exterior, tucking the handles in between the two layers. Match the top edges of the exterior and lining together and pin in place. 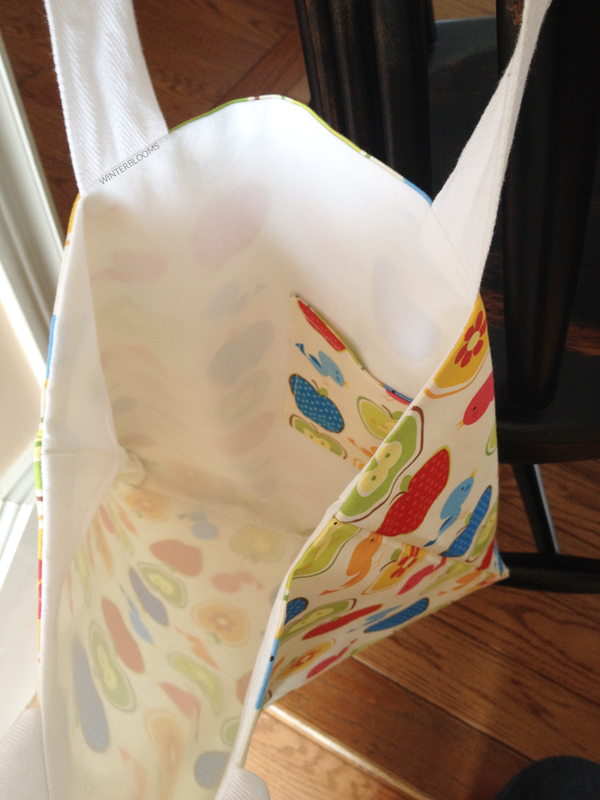 Using a 1/2" seam, sew around the entire top edges of the bag, backstitching at the ends. This is going to ensure a clean and complete edge along the top of the tote bag with no yucky raw edges sticking out. 8. Using that opening we left in the bottom of the lining way back in step 5, pull the fabric out and flip. You should be seeing the right side of both your exterior and lining fabrics now! And look how pretty that crisp top edge looks above. Lookit! 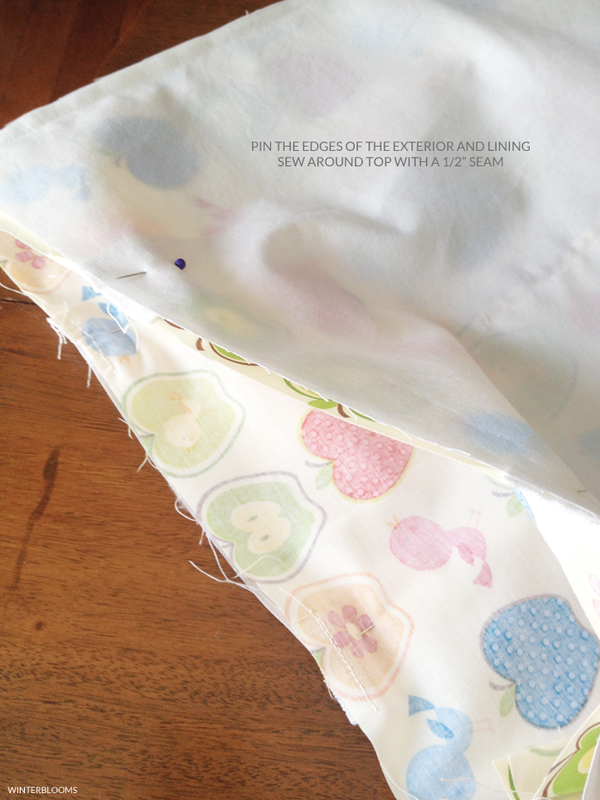 Hand stitch that opening of the lining closed, give the lining a press and then push it down inside the tote. Give the whole bag a final press in order to straighten up the seams and all should be good! Overall, I'm really happy with how this tote turned out! 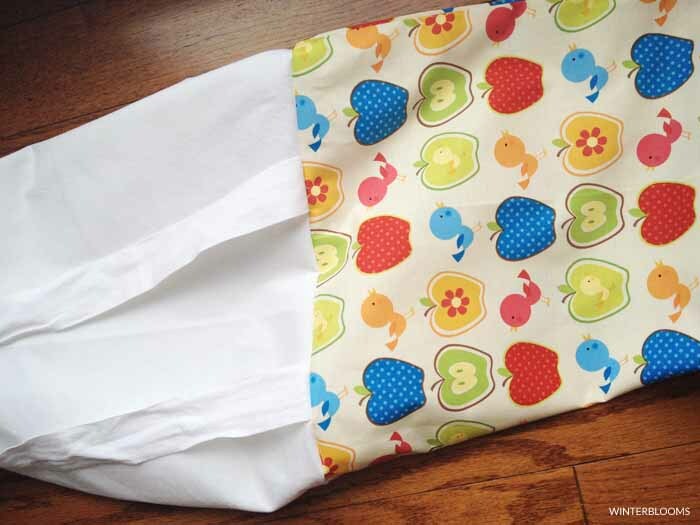 Not only is it a cute, happy fabric on the outside, but has practical storage on the inside. The lining makes all the difference, I think - though I'm sure the white fabric is going to take a bit of a beating once put to proper use. I'm pretty excited to take it out and about for errands. What's a project that you'd do to get yourself back into sewing?